In December of 1066, after invading England and defeating King Harold II, William the Conqueror of Normandy is crowned King of England in Westminster Abbey. The Gothic building so famous today was built by Henry III 100 years later, but the location of William’s coronation occurred in an abbey on the exact same spot. 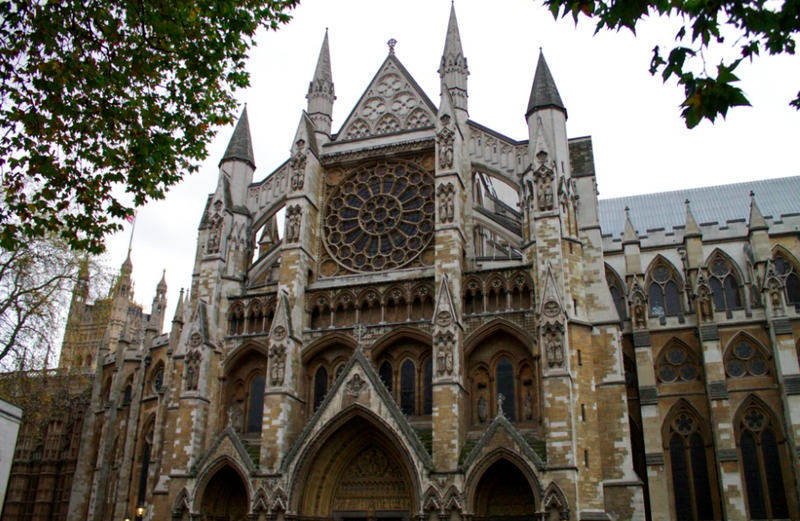 The arrival of William and Normans in London brought tremendous influences to architecture, government, and even language. One of the best examples of Norman architecture during this time is the White Tower at the Tower of London. 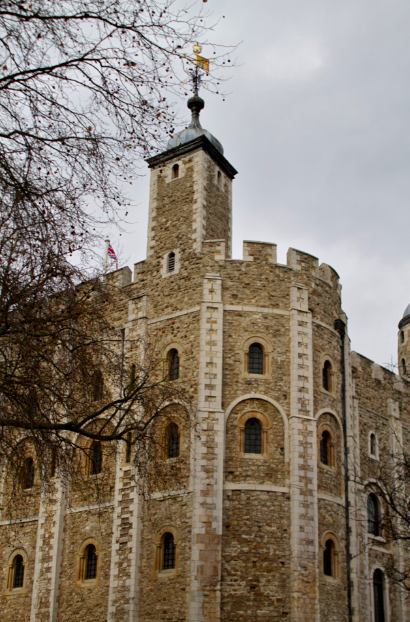 William commissioned the building of the White Tower in 1078. When built, the White Tower was one of the largest fortifications in the world. Inside, the unquestionable highlight is St. John’s Chapel, which feels like it hasn’t changed a bit since the 11th century (and it really hasn’t). I like to imagine what Norman London was like between these 2 landmarks. The Strand, the road that starts near Trafalgar Square and heads towards St. Paul’s, was the historic thoroughfare connecting the principal City of London with Westminster. Remarkably, the area between Westminster and the City of London was rural until the 19th century. The City of London began just beyond the Fleet River (namesake for Fleet Street, which The Strand turns into), at Ludgate. The actual gate to the City of London no longer exists, but there is a plaque right near St. Martin Church (40 Ludgate Hill) to commemorate the original location of the gate. After the Norman conquest, as London continued to grow, wood was the predominant building material. The largest structure in the city was the original St. Paul’s, constructed on the same site as today’s church. At 585 feet in length, 100 feet in width, and with a spire of 489 feet, it was a marvel for its time. In 1666, the original St. Paul’s, along with homes of almost 90% of the cities inhabitants, were destroyed in the Great Fire of London. The fire originated from a bakery on the infamous Pudding Lane, now recognized with a grand monument. Although devastating, the fire cleared the way for the grand stone structures and Baroque architecture found throughout London today. 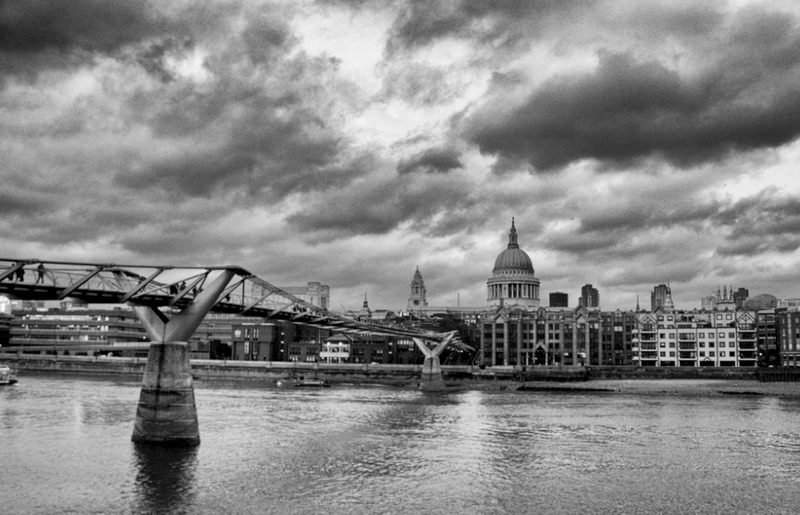 The city commissioned Christopher Wren to rebuild much of London, including St. Paul’s and 50 other churches. His characteristic style is very recognizable, such as in the spire of St. Bride’s church (pictured above). Almost all wooden buildings were replaced with stone as a precaution against future fires. Remarkably, much of the same street plan survives, due to complications with determining property ownership after the fire. It’s difficult to comprehend the destruction of the fire when surveying Central London. The fire literally gutted the city from the Tower of London nearly to Westminster. Remarkably, there are only a few buildings in Central London that survived and provide an example of pre-1666 Tudor architecture (such as the Staple Inn and Prince Henry’s Room). It certainly takes a lot of imagination to imagine a whole city filled with similar buildings in the time of Shakespeare. Prior to 1940, the last foreign invasion of Britain occurred in 1719, when Spanish forces arrived in Scotland in retaliation for the destruction of a Spanish fleet by the Royal Navy. The Spaniards were quickly vanquished in the Battle of Glen Shiel. Thereafter, thanks to British military might, the isle remained safe from foreign brutality. With the advent of modern warfare, however, England became susceptible to aerial bombardment. On September 7, 1940, the Nazi Luftwaffe bombed London to start what became to be known as The Blitz. Ordinary English citizens, spared from war in their homeland for so long, were now forced into a constant state of worry. London was bombed on 57 consecutive nights, and a total of 71 times over eight months. One million homes were damaged and nearly 20,000 Londoners lost their lives. A humbling graphic of the extreme extent of the bombing can be seen on Bomb Sight, where a web map depicts all the bombs dropped during The Blitz. Miraculously, most of London’s historic buildings survived the air raids, including St. Paul’s, which supported the morale of London citizens (the photo I took on our trip above reminds me of the famous “St. Paul’s Survives” photo published in London newspapers to inspire Londoners). When visiting London sites, it’s impossible to miss references to The Blitz. 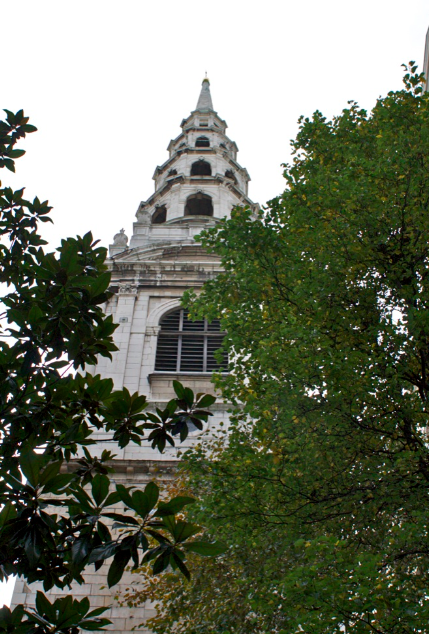 Audioguides at St. Paul’s describe how volunteer fire brigades stayed on call to protect the church (and in fact might have saved it when they heroically removed an unexploded bomb from the roof). London at war can perhaps be most directly experienced at the Churchill War Rooms near Westminster. Visitors are allowed to visit the hideout of UK leadership during the war, including the map room where troop movement around the world was tracked. London is rich in history, and understanding important events can add a lot of meaning to a visit. One fun experience that ties it all together is the Oculus in the crypt at St. Paul’s, a panoramic audiovisual experience that recaps 1400 years of London history in four minutes. Otherwise, the best historical background can be obtained through online resources, audioguides, and books. This entry was posted in Travel and tagged England, Europe, experience, history, London, London 2012 Trip, UK by Ryan. Bookmark the permalink.